Choose your side and fight to save the city in this tactical RPG with a massive branching narrative and explosive, real-time combat system. You’re a newcomer to Iskendrun, caught in a desperate battle for survival. A magical shroud has sealed everyone inside the city as the streets flood with monsters - and due to some unfortunate luck and embellished stories, most of the city seems to believe you’re going to fix it. But who is behind the shroud, and why have they created it? Fight to discover the truth in a massive, branching universe that fuses tactical RPG gameplay and fighting-game mechanics in an explosive real-time combat system. The city of Iskendrun is on the brink of civil war. The nobility control the government and are losing their grip on the people. Five leaders vie for control, and tensions are reaching a breaking point. The Combo Wheel, the latest in combat technology, allows you to activate special abilities for poundin' your enemies into the dirt with a set series of inputs. Abilities can be chained into each other whenever their inputs overlap, creating powerful combos for even more impressive (and effective) dirt-poundin'. In the city of Iskendrun, people don't take turns hitting each other - they just do it! Battles take place in real time and are explosive and lightning quick, but the most proficient pugilists know to remain calm and wait for the opportune moment to strike. Pick your own path as you experience the alliances, betrayals, and revelations Iskendrun has to offer. Join the faction of the leader you most trust…or the one you suspect might house whoever has brought down the shroud. Change your faction when it suits you, but know this: Whatever the one behind the shroud wants, their forces are growing stronger, and yours are growing weaker. City of the Shroud®. ©Abyssal Arts, Ltd. 2015 - 2018. 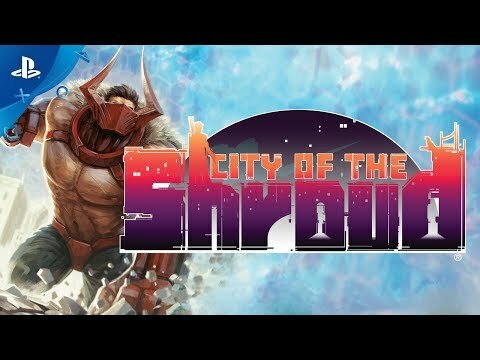 City of the Shroud is a registered trademark of Abyssal Arts, Ltd.